Martyn Saville: I’m not convinced about loan caps until we’ve seen more extensive research into the effects of limiting annual percentage rates (APRs). The risk is that hard-up consumers will be excluded from mainstream credit and may turn to illegal alternatives. Mark Lovell: I agree. APR as a calculation of the cost loan of £100 for one week is a misleading measurement in the context of helping people manage debt and change financial behaviours. Putting a cap on interest rates will only push more people to the unregulated market as lenders become more selective. MS: As we revealed last week, there are potentially bigger problems than high APRs facing people using some payday lenders right now. Guaranteed loan rollovers allow people to borrow one month after another, while unsolicited increases in the amounts you can borrow could encourage consumers to get into unmanageable debt very quickly. ML: Using pay day loans is a symptom of a lack of access to a range of financial services for vulnerable consumers – not necessarily a cause of making them hard up. Repeated and multiple use of such loans, however, is often a cause of financial hardship. MS: So what’s the alternative? For me, a first step would be to hugely expand the credit union and community lending (CDFI) sectors, with appropriate government support. ML: What’s needed is services that are relevant to vulnerable consumers. For example, this includes products allowing direct debits for utility payments – leading to savings of around £200 per year. This requires banks to be offering ‘jam jar’ types of accounts helping these consumers change their financial behaviour for the better to reduce the need to access short term expensive lending. We need competition to drive down costs. Credit unions and CDFIs are part of the solution but all of it. We need sustainable business models in this space – both for-profit not-for-profit – with a focus on the full range of products required by this consumer group, not just lending products. What’s your view on interest rate caps? And what reforms would you bring in to make sure everyone can access affordable banking products tailored to their needs? I think it’s awful that we have high cost credit – not because it is wrong, but because it is often the only credit the most financially excluded can get. Sadly, therefore, both doorstep lending and PayDay loans serve a purpose, in that they are accessible as money in a crissi by people to whom no one else will end. That’s wrong, but that’s the way it is. It looks as if the interest rates charged are not unreasonable when aimed at this market (the APR isn’t usually a reflection of the true cost of ther loan) because of the risk of default. Personally, bring on the “Robin Hood” tax on the high street banks to find social lending at market rates – and accept the inevitable losses. 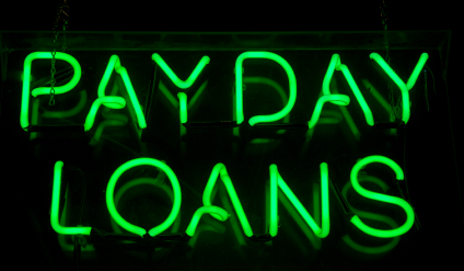 The problem with Payday loans is not the rates, it’s the misuse. The cost is similar to saying to your mate “Lend me a tenner and I’ll buy youa pint at the end of the month”. But that’s only so if you don’t roll over the loan (which the companies concerned seem all to happy to do – it looks like more than a quarter of debtors roll over at least twice) or if you don’t go and get multiple loans from different lenders (which again, it seems lenders don’t ask too closely about this, though to an extent I can understand this, as the credit information is almost impossible to get). – You can’t make additional advances whilst one is outstanding. – Creditor is obliged to ask if debtor has other PayDay loans outstanding. If the debtor lies, he’s banned form payday loans. – You can’t offer a client more than three advances in a year (this feels right – but it would stop some using Payday loans as a substitute for an unarranged overdraft which, of course, costs much more. I agree with you that it’s not the high interest rates that are the real problem, but rather the rollovers and increased amounts on offer to borrowers. I’ve read through your four suggestions for a payday loan law and they all seem reasonable to me. I’m not sure how many payday lenders credit score their customers before giving a loan – I suspect not all. This would go some way towards fixing point 3 and would lead to fewer people repeatedly being given loans they really can’t afford. It’s time to ban all extortionate loans, including the ridiculous charges for using credit cards. It is even more important to encourage young people to save first and spend later. I really worry about Martin’s petition and this whole Payday loan thing throws it into relief. I feel financial education is nice to to have but I think it has helped to divert attention from the real scandal that one in five of the UK’s school leavers enter adult life without the reading or maths skills to cope – or to comprehend things like loan agreements. Now, this 20% isn’t spread across society evenly, it’s concentrated amongst the most excluded. These are the people who are most likely to misuse (and be miss-sold) high cost credit. They won’t be able to benefit from financial education because they are functionally illiterate and innumerate. So, for me, concentrating resources on giving everyone basic skills is a far better use of resources than financial education that might benefit most, but not the most vulnerable. Actually, I do wonder whether financial education would be of much benefit to those who get it any way. That comes from my exoerience of debt advice. Again, the number of people who need debt advice who come from the most vulnerable strata of society is over-represented: and financial education would be far less beneficial to them than basic literacy and numeracy. Amongst those debtors on average or higher incomes, my experience is that most get into debt having carefully calculated that they can afford to repay. Unpredicted financial shock seems to be the most common cause of debt amongst people like this and no amount of financial education will help with that. May I point out that roughly 20% of ALL children are classified as intellectually inadequate or “challenged” – this is the Band 3 group .This has been the case for my entire educational life of over 50 YEARS. Frankly there will always be around 20% who are unable to read or write “properly” – this group also lacks COMPREHENSION . The difference now is that every child is bombarded by adverts to encourage them to buy anything and everything to be fashionable – or cool. Frankly high interest short term loans are the only ways that many can get enough money to survive. The richer and more able one is – the easier it is to get loans at reasonable interest rates. Rather unfair don’t you think? Why not force all banks to make short term low interest loans to everyone – not just the able? In fact until Thatcher imposed the universal National Curriculum – which was as badly thought out as her Housing, Industrial and Trains policies – I taught financial education within everyday mathematics to the vulnerable at my very slum school. (80% Band 3 input) Directly the National Curriculum was imposed my time HAD to be spent teaching the extra “Modern Mathematics” topics which were of no use or interest to the vulnerable pupils – instead of concentrating on the elements of maths that were of use.. It was imposed because influential Mathematicians wanted to make all pupils mathematicians – rather than to do arithmetic. The “one in five” suffered even more. Frankly it is yet another Tory Political Ploy – Instead of celebrating that under Labour we had TEN TIMES more students gaining degrees than under the Tories (50% instead of 5% of pupils) – they are pointing out that “one in five” can’t read write and do arithmetic TOTALLY ignoring that it is the very 20% of pupils they mention NEVER could.under any government – The solution for these children is small classes and increase of investment in their education geared to their needs – AND JOBS for them to do when they leave school so they can afford to live – but a great many will always be financially inadequate. They do not even have the planning capabilities to plan further ahead than next week. Please note I am not denigrating the value of these pupils as humans – but actually telling the facts as they are. To impose greater financial restrictions on them is directing them to gain those items they crave by criminal activities. In my school 50% of children in my form already have criminal convictions – it will make it worse. It will be left to Labour to sort out the problems generated by the Tories.. Points made about education and creating different controls and structures around extortionate rates just do not address the problem. Exploitation is not acceptable and should not be permitted. Interest rates in excess of 50% should be illegal. It would be more honest for creditors to have a fixed fee for a loan which would be easily presented and understood and which would not accrue. I am only considering LEGAL short term loan companies. The advantage of the short term loans is the borrower can see exactly how much they will need to pay back at the end of the loan period. In fact it is far MORE open than normal loans that these people can’t get anyway – they don’t qualify. The ALTERNATIVE is to starve or children walk bare foot – as they used to in the 30’s…I’ve worked with these people for over 40 years. Their out goings are greater than their in-comings – they are not reckless or feckless just totally poverty stricken.. The only answer is to have the GOVERNMENT have a “low interest short term” loan system – just as they have set up for businesses operating from the Post Office.. The Banks won’t do it – the risks of default are too great- nor will anyone else – except the high interest short term merchants – and you want to drive them out of business – which won’t help those who can’t get a loan in any other way. Will this “Government” do it – definitely no. They are not interested in the ultra poor. If getting money back is so difficult and unprofitable then companies should not loan the money. Starving children and walking barefoot is the long term consequence of borrowing money and paying back excessive charges which leads to more borrowing the following pay day. The answers are to bring people out of poverty, share wealth, have reasonable wage levels and get away from the treadmill of ever expanding markets and over population created by global economics. Global economics creates and requires large populations of people able to work but, it seems, cannot afford it. High interest lenders should be banned. Much of it frankly is usary. Rates of 76% and more are not uncommon. It is a trap which hits the vulnerable the hardest. Reputable mainstream lenders should be more willing to take on payday loans even if the interest charged was a bit higher – otherwise if such loans are such high risk dont lend the money in the first place. That said we all have to cut our coat according to our cloth. If you cannot afford non essentials then dont buy them. When you find a loan product that is usury, you want it to be banned. It is almost essential that people have access to credit, which is nearly impossible in a few states that have banned payday loans . That is why a group in Pennsylvania is now trying to get payday cash advances legalized. The bill is backed up by some powerful democrats, and it has an actual chance of going through. I understand that there will be lots of those who disagree with me. I have some thoughts regarding this issue. I totally see no point to ban new or existing lenders unless they violate state’s law of course. See, the thing is, customers of payday loans went way out of control. They are the ones who need to be banned. First of all, people who turn to payday lenders are irresponsible for most of part. Oh, by the way, I once applied for, I had no problems with these guys at all. As I paid back ON TIME. Sorry for caps, but it p****d m off when people complain about payday loans while using it incorrectly. Second of all, I agree that there has to be done something about interest rates…but again: no one forces you to apply for loans in a first place!